A pet’s companionship is one of the biggest blessings in anyone’s life, especially during the dark chapters. Their comforting presence and warm cuddles may not solve all your problems, but their love can help you weather the storms, and heal your mind, body, and soul. We were so touched to receive the following letter from Victoria and Daniel Olsson, shared via Joanna Waugh from rescue group Paws a Moment and Rescue. 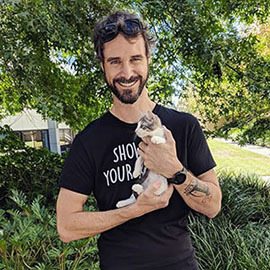 The Olssons found their kitten Luna on the PetRescue website, and it turns out Luna had a very special role to play in healing some broken hearts. 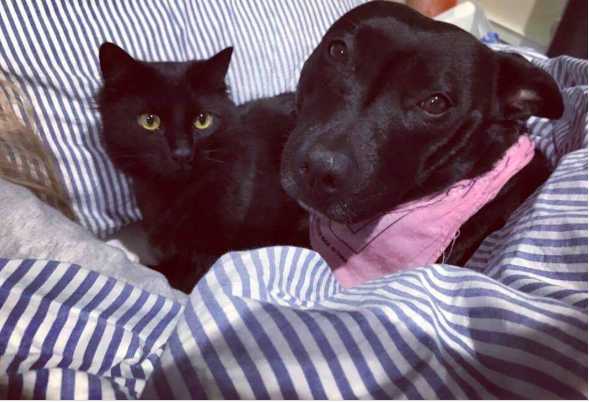 “When people ask me why I rescue I, with Victoria's and Luna's permission, share this wonderful story of how we can not only save the life of an animal, but how they can save us, and help to heal even the hardest loss - that of a child,” Joanna said. On the 2nd of October 2017, I enquired into meeting the most beautiful, big-eyed, shiny black fur kitten I had ever seen on Paws A Moment & Rescue's listing on PetRescue. I knew I wanted to save a kitten, and after some browsing, I came across the most wonderful description for little “Annie.” Annie was Luna’s original name and we soon met on the 8th of October 2017 at carer Joanna Waugh’s home and I instantly fell in love. I put down the deposit that day and went straight to the shops to prepare for our newest member of the household. It had been the first time in a long time I had smiled and felt joy. On the 16th of August 2017, our first-born child, our beautiful baby boy, Brooklyn James, was born stillborn. 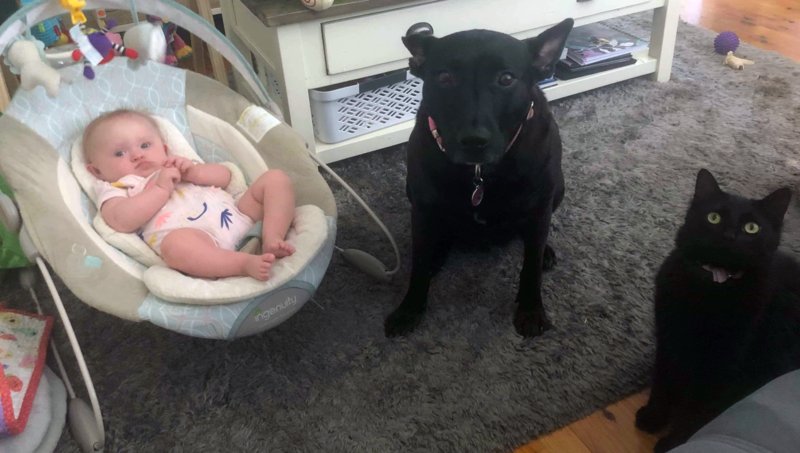 Throughout the months leading up to Luna’s adoption, Luna’s big sister Tilly, a six-year-old staffy x kelpie, was very emotional as we were and we decided to add another fur baby to our family. On the 11th of October 2017, we brought Luna home for the first time at 12 weeks old and instantly, she fit so perfectly into our little family. Luna was so well behaved around Tilly and although it took a little while, they are now the best of friends and love to "play" together. Luna has been there in my darkest moments, she is always there for a cuddle, purring on my chest and giving me kisses on my face. Luna is honestly a therapy kitten for myself and for our dog Tilly. Luna is six months old now and has the biggest, sweetest personality. Waking up to her little face and having the ability to care for her has given me purpose in these past three months. I never would have imagined a love so strong for our beautiful kitten. Luna loves to lay and play in Brooklyn’s nursery and I like to believe that he is in there playing with her. I look forward to the many years to come and for Luna to hopefully become a “big sister” soon. I am so grateful for Joanna’s loving and caring nature to care for these little kittens and giving them a chance at life. It is such a wonderful feeling to love, care and spoil a little kitten and provide them with the best life they can have. Thank you PetRescue, and thank you Joanna and all the foster carers, you are all absolute angels. 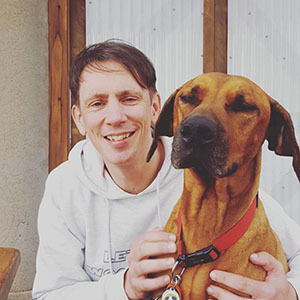 PetRescue is absolutely privileged to be the first point of connection in life-changing stories like Victoria and Dan's touching tale. And there's been some more news - Victoria and her partner Dan have since welcomed a beautiful baby girl named Ella into their adorable family! Ella, who was born with Down syndrome, has already become the best of friends with Luna. And Luna seems to enjoy the presence of her new tiny human as well!